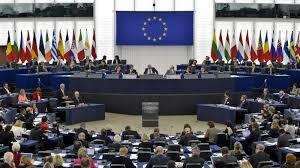 The leadership of the European Union (EU) Delegation to Nigeria and the Economic Community of West African States (ECOWAS) has concluded plans to meet with President Muhammadu Buhari over the rising wave of militancy in the Niger Delta and the agitations by the Independent People of Biafra (IPOB), it was gathered at the weekend. The 28-member Union, with a population of over 500 million people, and a quarter of the global wealth, is one of the most powerful organisations in the world. The AUTHORITY gathered that, worried by the deteriorating security situation in the Niger Delta and the Southeast, leaders of the European Union spent the past weeks meeting with opinion leaders from the zones to help their understanding of how best to handle the situation. An official of the Union who did not want to be mentioned told The AUTHORITY that it was wrong to accuse the EU, which he said between 2009 and 2013, granted over €700m aid to Nigeria, of bad faith. “It is most unfortunate that an organisation which committed over €200m to youth development, including reintegrating ex-militants in the same Niger Delta, is accused of bad faith. The EU is committed to developing, not only Nigeria, but the whole of Africa. “Between 2009 and 2013, EU aid to Nigeria most of it from the 10th European Development Fund totalled about €700m. Some €200m was allocated to the consolidation of peace and stability, tackling poverty and creating job opportunities for young people (ex-militants) in the Niger Delta. “The highpoints of the EU 2009-2013 Country Strategy are peace and security, governance and human rights, and trade and regional integration. The basis for political, trade and development cooperation relations between the EU and Nigeria is the 2000 Cotonou Agreement otherwise called the ACP-EU Partnership Agreement, which covers 79 developing countries in Africa, the Caribbean and the Pacific. “Aside from the fact that Nigeria is the most populous country in Africa, it is the biggest economy on the continent and a regional power. Besides, it is a very important trading partner with the EU. This is why we want to meet with Pres¬ident Buhari and share some of our thoughts on happenings in the Niger Delta and South East with him,” said the official. IPOB made its position known in a statement endorsed by its spokespersons Emma Mmezu and Dr. Chukwuemeka Iroanya.“The Indigenous People of Biafra under the leadership of Mazi Nnamdi Kanu hereby state that we support our kith and kin, the Niger Delta Avengers, who are fighting for the freedom of our people from the enslaving Nigerian Government. “We want to place it on record that IPOB has no connection with some groups who are claiming on the pages of Nigerian newspapers that they do not support our fellow freedom fighters the NDA,” IPOB said in the statement. IPOB said the Niger Delta Avengers were not fighting for resource control and a restoration of the amnesty programme, rather, the group was fighting for Biafra. “The NDA have consistently stated that the release of IPOB leader Mazi Nnamdi Kanu is a precondition for any discussion with Nigeria,” it said. “Unfortunately, the Nigerian government has swept this demand under the carpet while magnifying the notion of am¬nesty payments and resource control as reasons for the NDA’s actions. According to IPOB, if the secession plan is successful, resources will be controlled by the owners of the land where those resources are located. It's time to save millions of lives by letting Biafrans go and be free from this evil contraption called Nigeria. Six million perished in 1965-1970 and many more are still dying today – almost 50 years after the civil war. Please EU, ECOWAS and World powers, do the right thing and correct this evil of amalgamation of variant groups of people with distinctly religious beliefs, values, customs and way of life. Nigeria as constituted will never work. By the way, amalgamation of Nigeria expired in 2014. Biafrans need to go their separate way. We have died enough. Save Biafra from islamic imperialism. Avert an avoidable war, stop Buhari's genocidal plans against Biafrans. Please Biafra times it is indigenous people of Biafra not independent people of Biafra. Buhari and his Northern leaders and APC should listen to the Peoples voice and hear David Cameron speech after Britain voted to Exit EU and that is Democracy NOT Dictatorship as its in possible for a Marriage that is not working to remain together. Nigerians have to vote or Buhari should organize a Sovereign National Conference to Re-Address Nigeria or he accept a Referendum in Biafra, where ECOWAS and EU/UK Government should supervise. Its very simple.This will save him and put his name in the MAP of the world as a GENIUS not a KILLER.